KASUR: Police have arrested a PML-N MNA for allegedly making derogatory speeches against higher judiciary and establishment in a public rally. 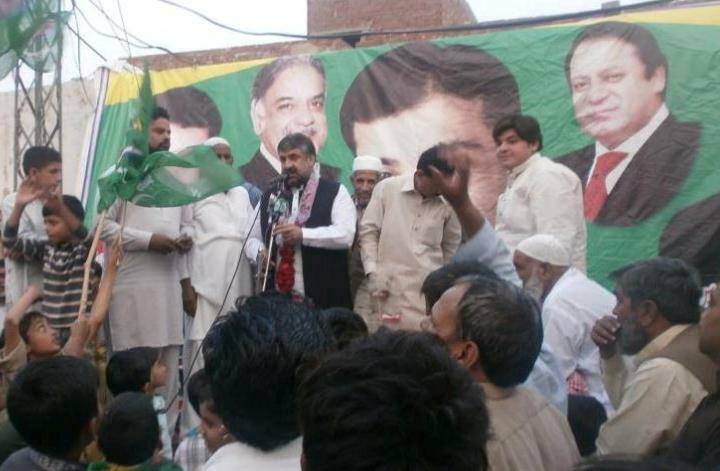 MNA Waseem Akhtar Sheikh and MPA Naeem Safdar Ansari and at least 70 other PML-N workers were booked in two separate cases on charges of making provocative speeches during a public rally in Kasur on April 13 in Kasur. The cases were lodged by Major Habib-ur-Rehman and security constable Abdur Rasheed. According to police, the PML-N MNA was arrested from Kasur when he was trying to escape to Lahore. He has been shifted to an undisclosed location. MPA Naeem Safdar Ansari, Chairman Tehseel Council Haji Ayaz Ahmed and his deputy Ahmed Lateef have also surrendered to arrested. According to Kasur police spokesman, raid parties led by senior officials have been constituted to arrest the others.